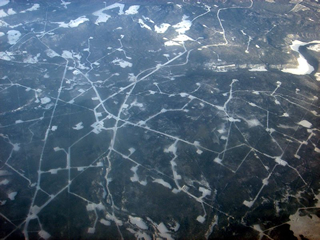 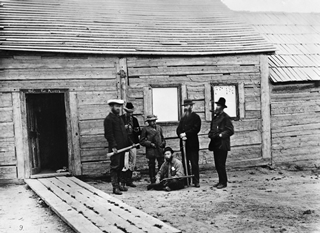 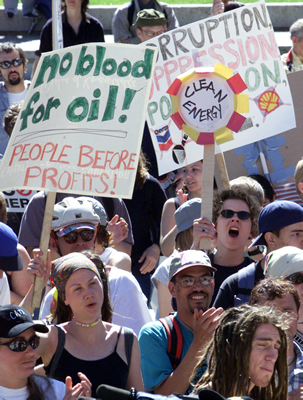 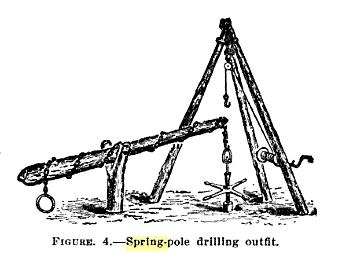 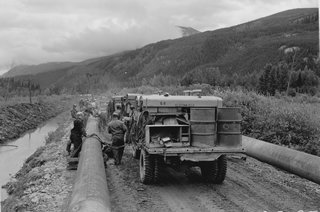 Some of the earliest oil wells in Canada were dug using spring poles. 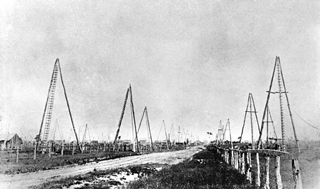 A pole rested on a fulcrum point and had one side secured to the ground. 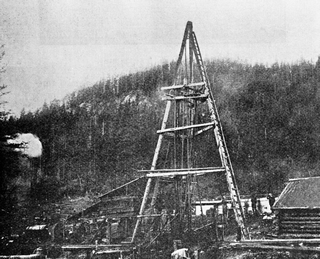 A sharpened tool was attached to rods, which were suspended from the pole over a well. The rods and tool were repeatedly raised and dropped to deepen the hole. 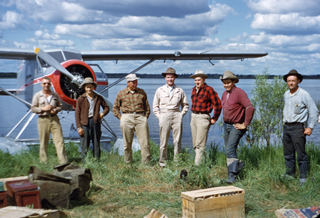 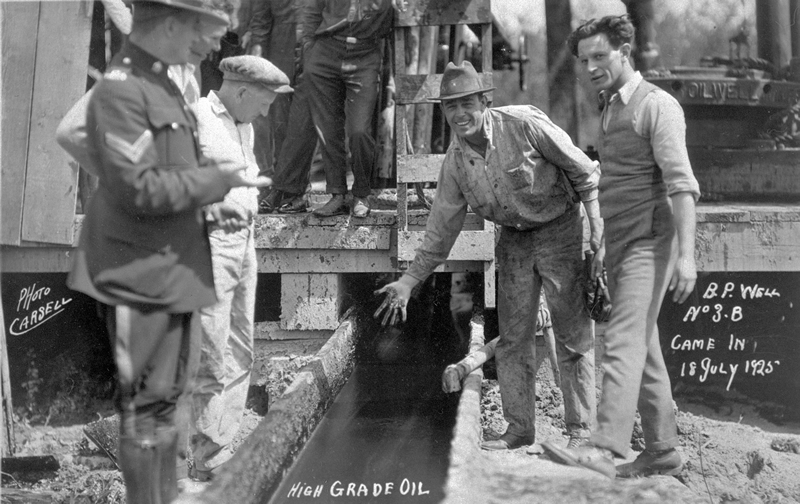 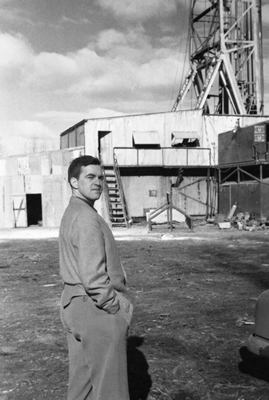 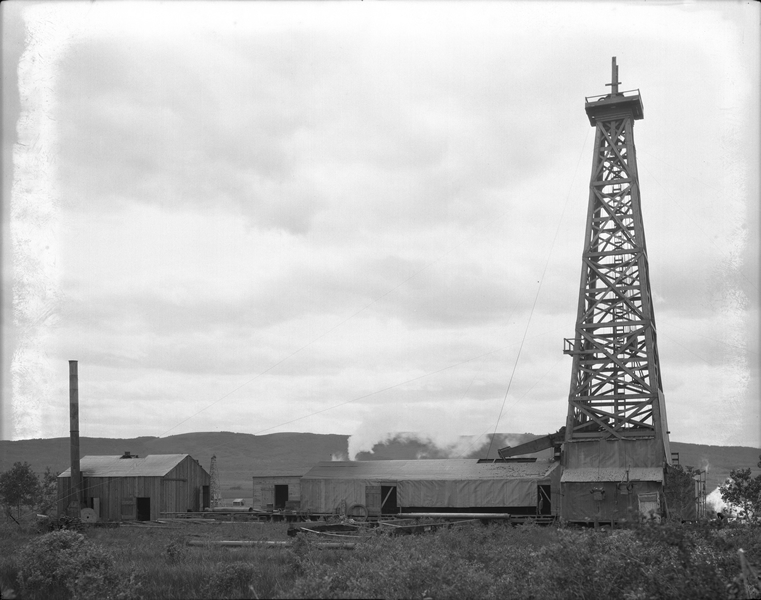 efficient and stronger than spring poles, but well drilling was still a long and laborious process; it took a two- or three-man crew, working in almost continual shifts, months or even years to drill wells deep enough to reach the oil and gas reservoirs. 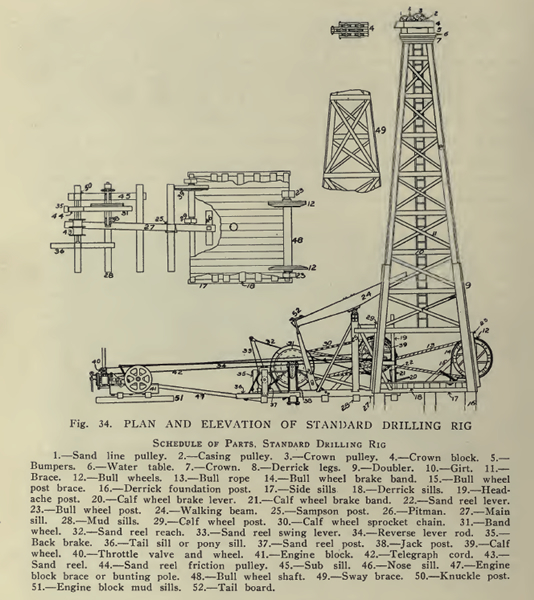 Cable tool rigs and derricks were extremely dangerous. 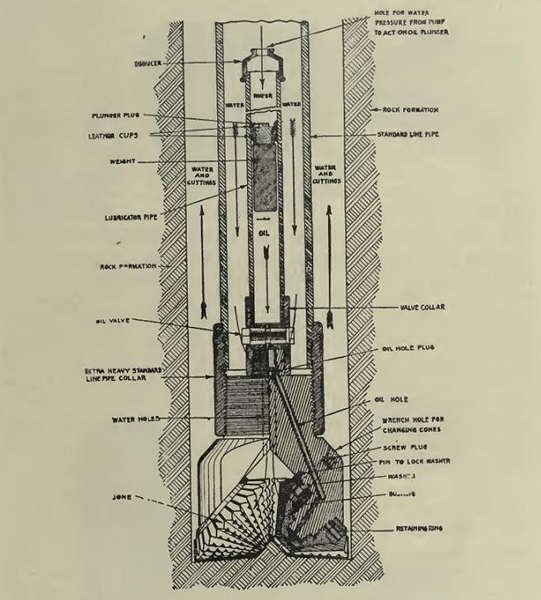 Most of the work was done in a small cellar under the derrick, which could fill with released, poisonous hydrogen sulfide gas (H2S). 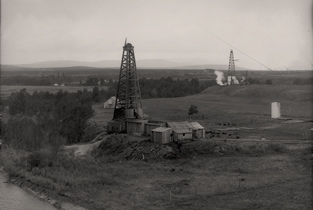 The deeper the well was dug, the more rope or steel cable was needed, which placed considerable strain on the derricks. 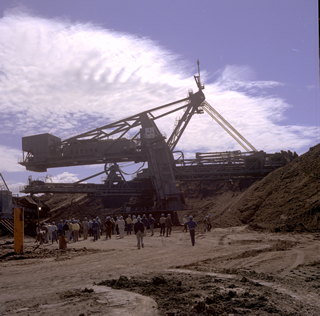 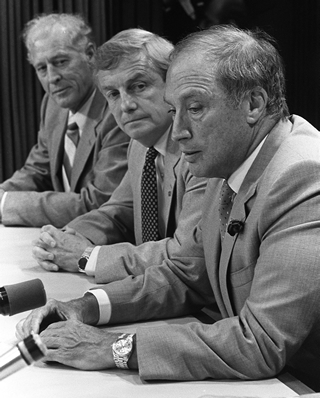 Derrick collapses were not frequent, but they did occur, often with catastrophic consequences for the drill crews. 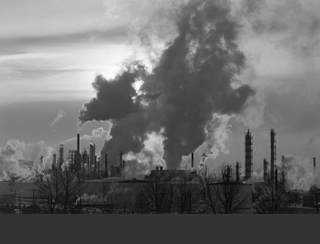 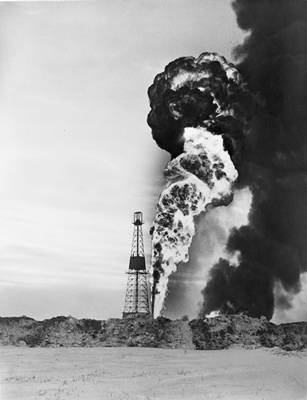 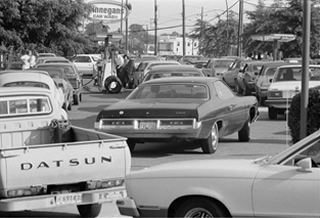 Fire, which was fed by oil-soaked equipment and derricks, was also an ever-present danger. 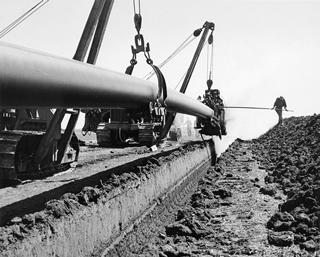 particularly effective in softer geological formations, where cable tool drills had trouble. 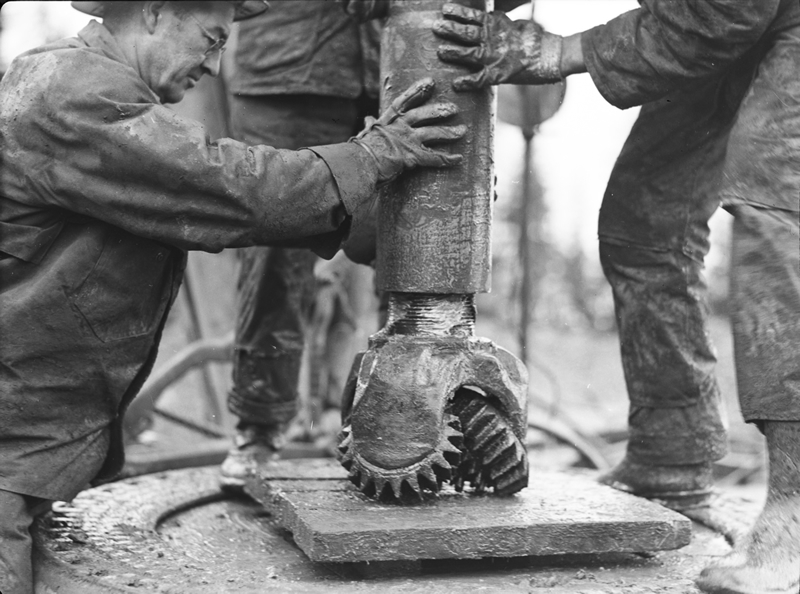 Rotary drill rigs required larger crews to operate them, but they were many times faster and more efficient than cable tool drills. 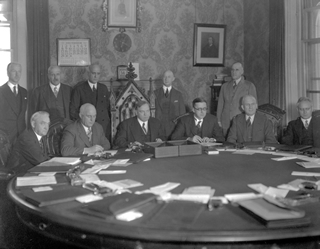 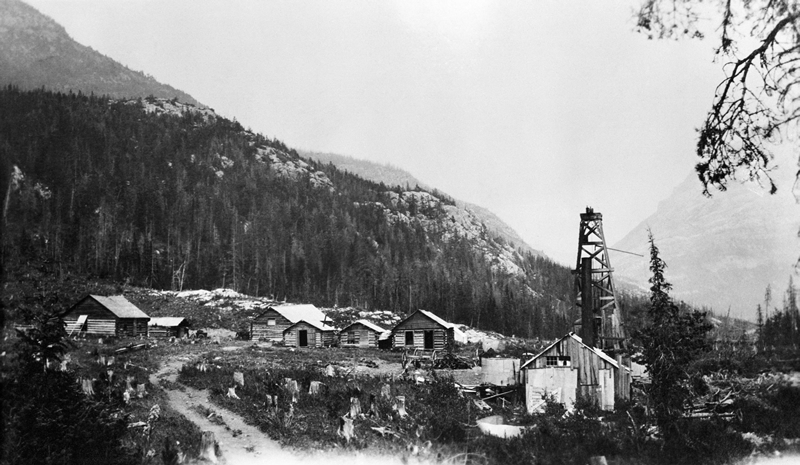 They appeared in Turner Valley in the mid-1920s. 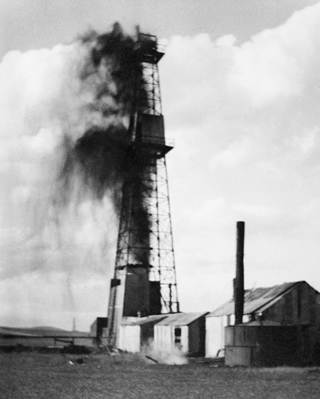 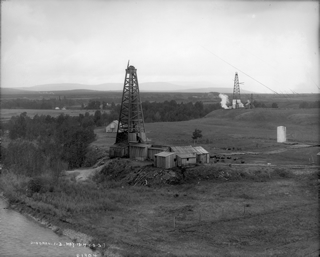 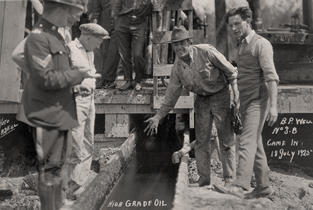 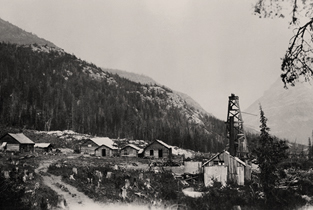 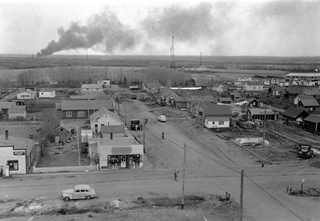 The last 3,000 ft. of the first oil well (as opposed to gas) in Turner Valley was drilled with a rotary tool rig in 1936.